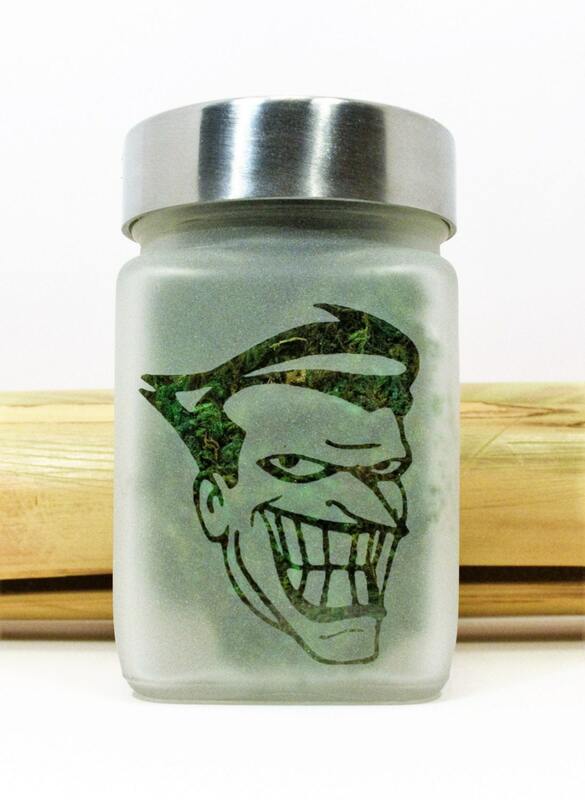 Etched glass Retro Cartoon Joker stash and storage jar inspired by Batman. 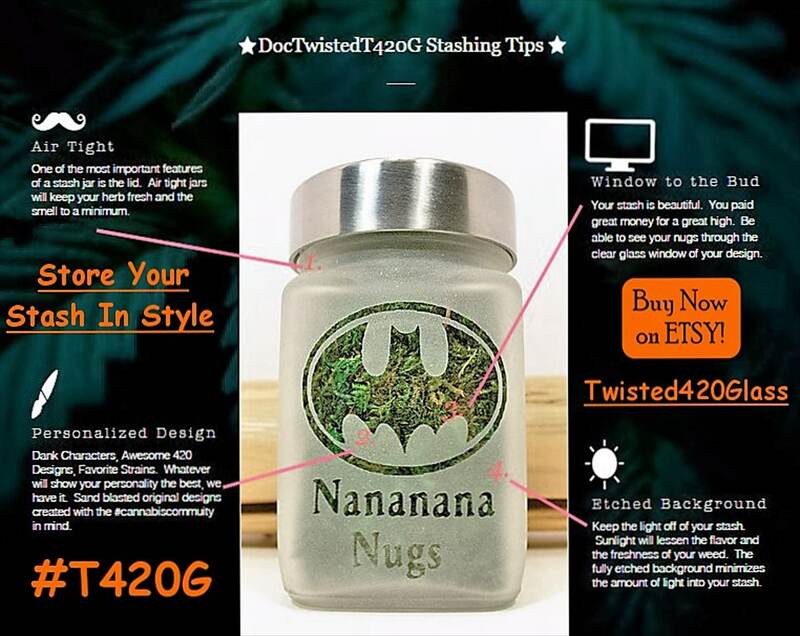 Perfect Christmas Gift or stocking stuffer for your favorite cannabis lover. 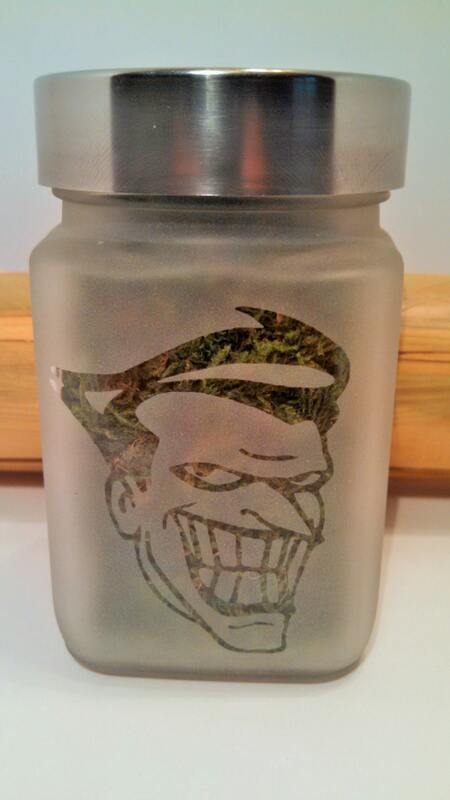 Food grade, airtight Batman Joker stash jar has brushed aluminum screw on lid. 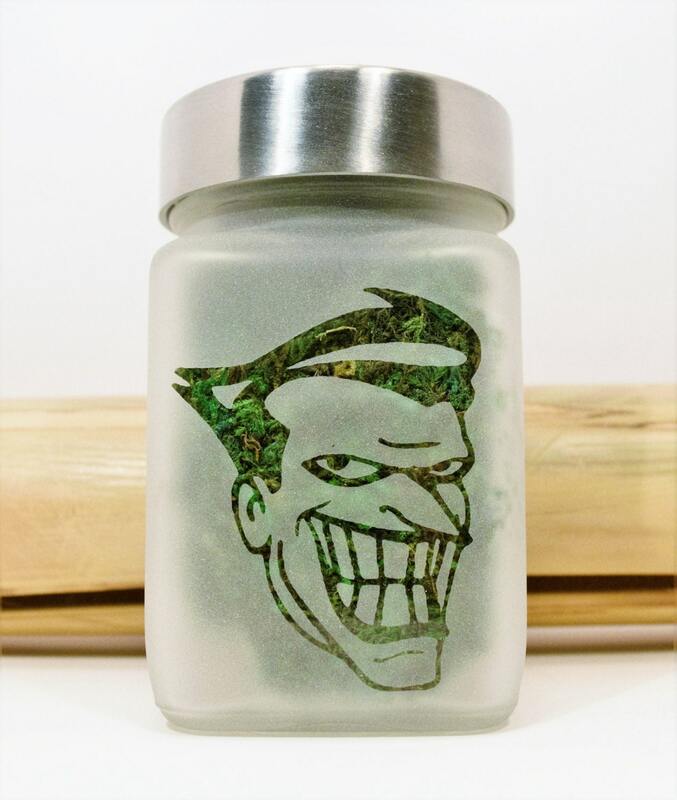 Retro cartoon Joker stash and storage jar size roughly 2.5"w x 3.5"T.
Note: The Joker image in photo has a Green back drop. When it arrives to you the Joker logo will be clear glass. All other sides are solid etched. Beautiful and it's a nice size. Love it. My boyfriend went crazy over that jar! He absolutely loves it! Super fast shipping! Thank you so much! I love these stash jars so much! Thank you! I love these little stash jars!